the confident woman interview series featuring terry! Have you have reached that point in your life when you ask yourself, ¨Is this really it? Is this my life…..” you want more meaning and purpose as you go about your daily life but deep down you are scared that this is as good as it gets. Here’s the thing. You’re not alone. Harriet Castle, the host of the interview series I’m speaking at, has many clients come to her with exactly this. The feeling of being stuck, like there must be more (but no sign of it), working hard but not getting ahead. That the dream they had for their life when they were growing up, is nowhere to be seen. That’s why she created this series, to help thousands of people around the world get access to tips, tricks, life hacks and good advice from leading global experts. Experts who are bestselling authors, elite athletes, TEDx speakers and more. Because you are member of my community, you’re invited as a special guest! You’ll have access to hear me and many other experts, plus get the Free Gifts they will be sharing with you. This can be your first step to reclaiming your power, and start living the life YOU WANT. Now! Click the button below to gain access to get The Confident Woman strategies, tips, hints, and action steps before it’s too late! The series is easy to access, and runs from December 4th, and is designed to fit into your busy schedule as each session is only 30 minutes! Posted on December 4, 2017 by sharon backurz and filed under Life Coaching, Interview and tagged terry sidford interivew harriet castle the confident woman interview series. Please join me for a women's gathering to hear my new talk "Permission to Be Courageous & Change Your Story." My goal is to inspire you to give yourself permission to find your courage in your life and to see inspirational courage in others. I am working on a "keynote talk", and would like to share this event with an intimate circle of friends whom I love and trust, and celebrate the connection we all have as women. We are limiting invitations to 50. Light appetizers & wine to follow talk. Thank you to OP Rockwell-Rockwell Room, Zenzee & Jafflz for sponsoring this event. Posted on September 18, 2017 by sharon backurz. 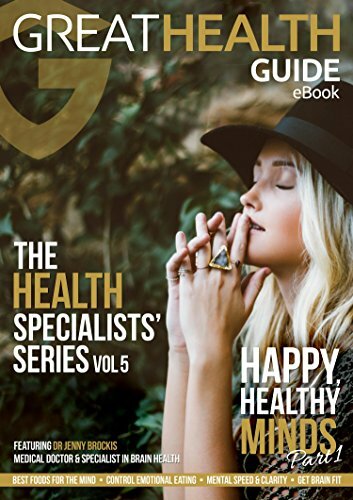 Great Health Guide :: what is your story? Posted on August 10, 2017 by sharon backurz. Do you live life, or do you let life live you? What is the difference between Goals and Intentions? Intentions are goals with determination. Posted on February 5, 2017 by sharon backurz and filed under Video, Life Coaching and tagged living with intention life coaching create your life coaching. Forgiveness is a sign of strength. It releases you from the problem and sets you free! Here is one of my favorite quotes from Don Miguel Ruiz in "The Four Agreements": "Create an act of power and forgive yourself for everything you have done in your whole life." Posted on January 29, 2017 by sharon backurz and filed under Video, Life Coaching and tagged forgiveness life coaching create your life coaching. Posted on January 16, 2017 by sharon backurz and filed under Life Coaching, Video and tagged regret living without regret life coaching create your life coaching.